Regardless of what groundhogs, almanacs or wooly worms have forecast, winter weather is continuing in the Miami Valley. Unpredictable and often severe as in the past week, weather swings are becoming the norm. Closings and delays ribbon across our television screens as the day unfolds. But small town life continues. A blood drive is set for Feb. 9 at the conference center at 320 Main St. Hosted by the Tri-Village Rescue Squad, this event is scheduled from 8 a.m. to 11:30 a.m. You will receive a T-shirt for participating in the Donor Awareness Month blood drive. You can schedule an appointment online at www.Donor/Time.com or you can call l-800-388 GIVE. The winter reading program for adults will conclude on Feb. 15. If you are participating with books, magazines or program attendance, be sure your entry has been received at the library. The library has been posting closures and schedule delays on your television information. The American Legion is planning its celebration of Valentine’s Day with a swiss steak dinner. The public is invited to participate and stay in town for a delicious meal for only $8. Danny Stockton and Skip Hoover will be in charge of the menu that includes the steak with pan gravy and mashed potatoes. You also have green beans and bread and butter. The Patriot ladies basketball keeps drawing attention and this week the team had moved to No. 4 in the state rankings. This week the team will play Arcanum at 5:30 p.m. on Feb. 7 and Fort Recovery at l p.m. on Feb. 9. Both are away games. The Tri-Village boys basketball schedule shows a game on Feb. 5 with Miami East at 6 p.m. here and games with Covington on Feb. 8 and Coldwater Feb. 9, both at 6 p.m. and both away. Senior recognition is set for Feb. 5. Wonder what the weather was like 65 years ago? Sure Franklin and Lois (Ullom) Nichols remember it well. The couple was married on Feb. 6, 1954 at the parsonage of the Palestine Church of Christ. Celebrating this 65th anniversary with them will be the family. The couple’s seven children include Wayne (deceased), Deborah, Tom, Tim (Denise), Gary (Karen), Wanda (Carol) and Dawna (Rick). The family circle has 17 grandchildren, 22 great-grandchildren, one great-great-grandson, as well as step-grandchildren and step-great-grandchildren. Congratulations! 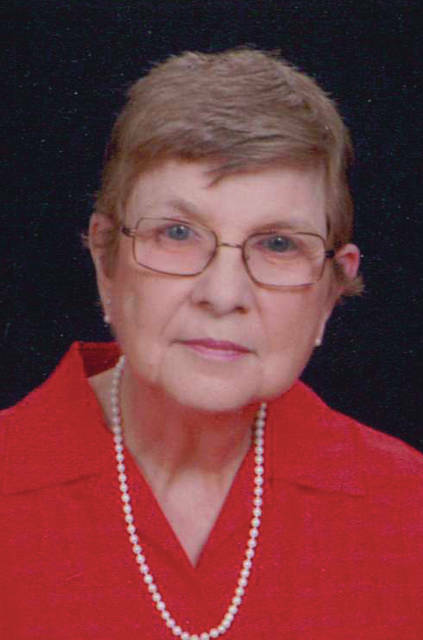 Shirley Dubbs is a volunteer citizen columnist, who serves The Daily Advocate readers weekly with her New Madison column. She can be reached at psdubbs@embarqmail.com. Viewpoints expressed in the article are the work of the author. The Daily Advocate does not endorse these viewpoints or the independent activities of the author. This entry was tagged Column, New Madison, New Madison News, Opinion. Bookmark the permalink.